Closed-minded liberal sophomoics think that anyone against Ground One Mosque and for profiling possible terrorists is a racist. However, in all three areas, Israeli Jews scored far better than their Arab neighbors, with an average gap of 40 to 50 points in every area. United Synagogue Youth teen board members are told ban is lifted on dating non-Jews, but "important" to date within the faith. Weizmann scientist Prof. Aharonson and research student Raluca Rufu teamed with Technion scientist Dr. Perets to launch a new theory on the birth of the moon. Researchers say the discovery could lead to more robust computer hard discs. The Israel Nature and Parks Authority has revealed a beautiful and rare coral cave in the lower Galilee, via photographs taken recently on site. 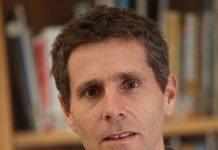 In 2013, Prof. Shany evaluated the Israeli judicial system on YouTube – we believe his views foretell a worse scrutiny of Israel by the UNHRC in the next 18 months. This is what presidential contempt feels like. Let's all get used to it. "Despite our long-standing practice of coming to the defense of threatened Jewish communities, when it comes to the United States, we are silent." For the past 15 years Abdullah Faarruq was the Muslim chaplain at Northeastern University in Boston. This week, Faarruq was revealed to be an Islamic extremist who encouraged acts of violence and who has publicly supported multiple convicted terrorists. But all traces of Faarruq suddenly disappeared from the Northeastern University website just days after his ties were announced in an article, and just before a shocking and carefully sourced video was released. Brandeis president condemns those who expressed no sympathy for slain NYPD officers, ignores campus bullies who attacked student journalist. The high schools at the bottom of the list in terms of their students' eligibility for a matriculation certificate include eight Arab and two Haredi institutions. “Israelis need a skill set to engage with the world,” said Education Minister Naftali Bennett. "Not knowing English is effectively closing books in your face and shutting opportunities to interact with the world." The left-wing party's problem is that the ministry spent more money to promote Judaism than democracy. “I will not stay low-key when I see anti-Semitism. I will always be respectful, but I will not be quiet. 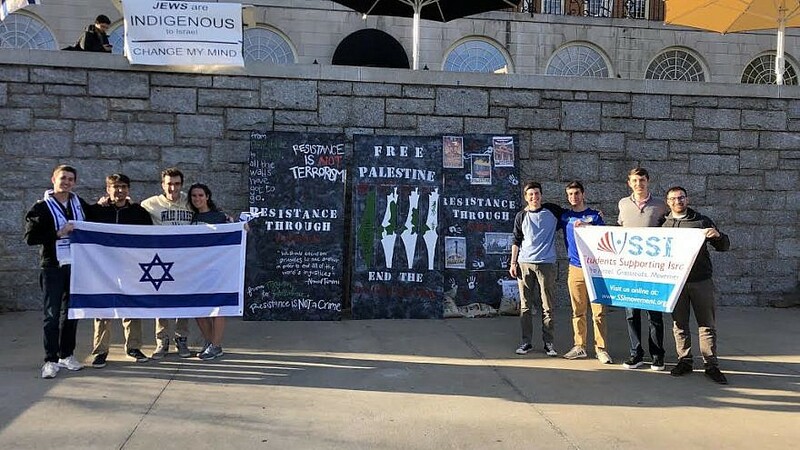 If anyone sees it another way, I challenge you to question your ethics and truly ask yourself where you stand,” said WFU Hillel Israel chair Phillip Yurchenko. Did You Know September 1 is an Israeli National Holiday? Sept. 1 is a spectacularly important day in Israel. “I’m very happy she made the right decision for the community,” said the School Board President. The school principal did not report the first two incidents but he was "outed" by an anonymous letter sent to police. The self-image of American Jews, along with their self-perceptions, cosmopolitan approach, and value systems all developed before the birth of Israel. Nevet figures show the impact of a healthy breakfast sandwich.